two + three = ? seven + three = ? 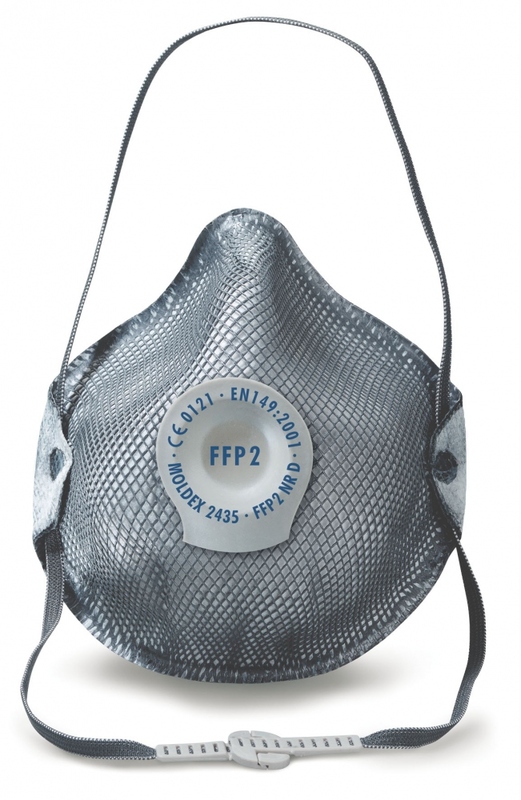 The Moldex 2435 New Generation FFP2 NR D disposable mask is for protection against fine toxic dust, oil & water based mists and fumes e.g. as FFP1 but at higher concentrations, plus Brake Dust, Concrete Dust, Lead Dust and Fume, Welding, Wood Dust, Zinc Oxide Fume. Foam nose bridge for increased comfort and new strap clip for ease of use. Passed optional Dolomite test for resistance to clogging. Approved to EN149: 2001 + A1:2009.